Bruce Hobbs was Deputy Chief Executive of Minerals and Energy at CSIRO from 2000 to 2003. 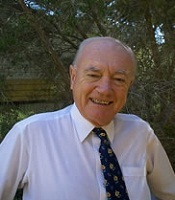 He was elected fellow of the Australian Academy of Science in 1991. He was honoured Companion of the Order of Australia in 2010. If you know more about Bruce Hobbs and you want to contribute, please contact us. Dr Bruce Hobbs, understanding of the aperiodicity of geological structures.